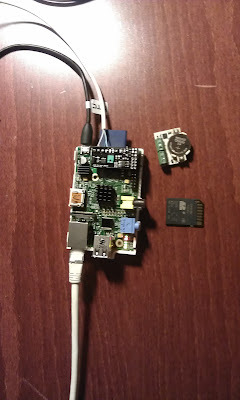 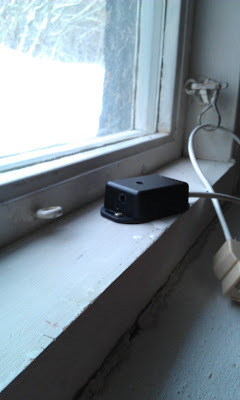 Raspberry PI v2 with 4GB SD Card. 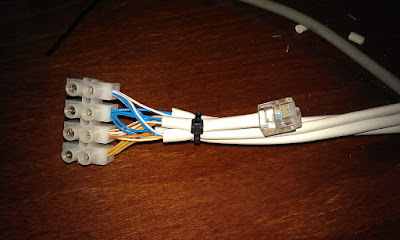 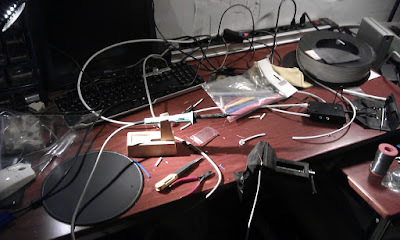 RJ-12 Splitter in 1-wire network. 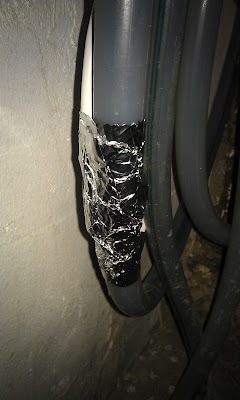 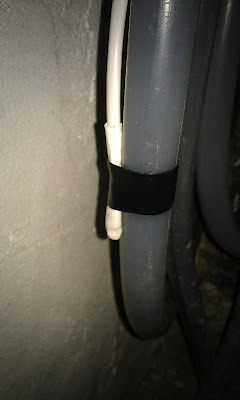 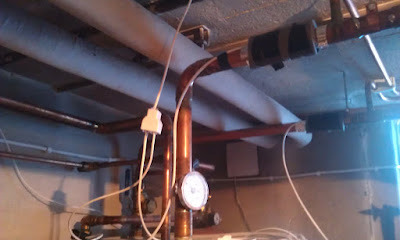 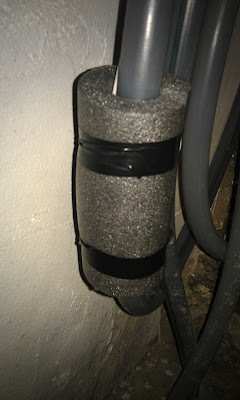 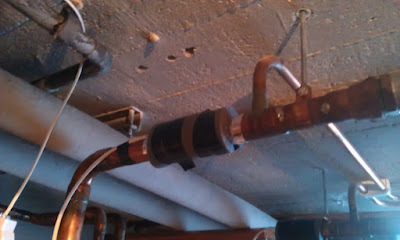 DS18S20 Tempsensors at the heating pump, isolated with foil, foam and tape. 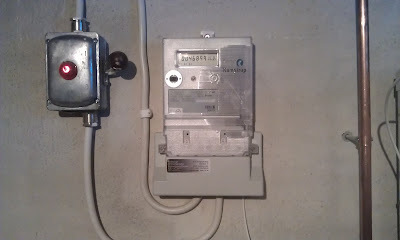 Kamstrup eletricity meter and main switch for the heating pump.